This home has excellent flow and is ideal for entertaining. MLS#2436460. COLDWELL BANKER RESIDENTIAL 24.
control, all custom closet systems, wide staircases, surround interior/exterior speakers, pro landscape, built-in grill, stamped concrete, FULL basement w/10 ft. ceilings (Invaluable basement layout & Configuration), basketball court, large 3 car garage (finished, insulated) w/ extra storage! MLS#5213503. RE/MAX Structure. Ask listing agent about $500 GV recreation rebate. MLS#4888717. RE/MAX Masters Millennium. The main level has four bedrooms & three baths, while the upper level features a master bedroom suite w/ a five-piece bath & an adjoining master retreat, exercise area w/ a gas fireplace.The walk out lower level has a wine cellar, office & bath, an additional bedroom suite, with a bath, & a rec room w/ a fireplace, storage & covered patio. MLS#9873165. LIV Sotheby's International Realty. The Preserve At Greenwood Village - Close to I-25, light rail, Highline Canal, numerous athletic clubs, shopping centers and the Koelbel library! MLS#2723461. RE/MAX Professionals. Walking distance to Cherry Creek Schools, Cherry Creek State Park and easy access to I 225/DIA. MLS#7237864. LIV Sotheby's International Realty. Sellers will not do any repairs to the home, again this is lot value only. MLS#2252352. MB HANCOCK REALTY INC.
Cherry Creek Vista - HOAccess to pool, tennis court and basketball court MLS#6960843. HK Real Estate. Green Oaks Greenwood Village - Very Rare Find In Green Oaks! MLS#1882761. KENTWOOD REAL ESTATE DTC, LLC. Hot tub, tennis court, great lawn space - this home has it all! MLS#6837676. KENTWOOD REAL ESTATE DTC, LLC. 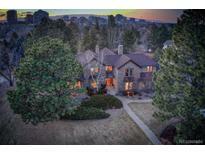 The Preserve At Greenwood Village - Wonderful cul de sac location. Enjoy the Preserve pool! MLS#2071255. LIV Sotheby's International Realty. Cherry Creek Vista - The upgraded backyard includes a fireplace, stone deck, new sodded lawn with new sprinkler system & a play space ideal for entertaining & fun. MLS#3722177. RE/MAX Professionals. The Preserve At Greenwood Village - Huge walk-out basement w/kitchen, 2nd study, wine cellar, exercise room., guest bedroom - This estate has it all! MLS#6892042. KENTWOOD REAL ESTATE DTC, LLC. 5 car heated garage has an upstairs room that could be an office, studio or whatever you can imagine. Move in & enjoy. MLS#4182268. Kentwood Real Estate Cherry Creek. Just the Right Touch of Elegance & Comfort Making this an Inviting House to Call Home! Truly! MLS#9979144. LIV Sotheby's International Realty. Check out this one-of-a-kind opportunity with endless possibilities! MLS#2989638. RE/MAX Professionals. The Preserve At Greenwood Village - Amazing grounds and outdoor living spaces. MLS#9391577. KENTWOOD REAL ESTATE DTC, LLC. The amazing backyard has been enhanced with a swim spa and sauna as well as a built in grill and a couple of fire pits. Come make this your home! MLS#9087058. LIV Sotheby's International Realty. Cherry Creek Vista - Gated community, Cherry Creek Schools, large east facing trex deck, 2-car attached garage, community pool and tennis and views of Cherry Creek State Park. MLS#4295494. KENTWOOD REAL ESTATE DTC, LLC. Very close proximity to the Denver Tech Center as well as Down Town Denver. No HOA. MUST SEE! MLS#7063446. Valuepointe Realty.